Earlier this year, a group of influential software engineers in Google’s cloud division surprised their superiors by refusing to work on a cutting-edge security feature. Known as “air gap,” the technology would have helped Google win sensitive military contracts. The coders weren’t persuaded their employer should be using its technological might to help the government wage war, according to four current and former employees. After hearing the engineers’ objections, Urs Holzle, Google’s top technical executive, said the air gap feature would be postponed, one of the people said. Another person familiar with the situation said the group was able to reduce the scope of the feature. The act of rebellion ricocheted around the company, fueling a growing resistance among employees with a dim view of Google’s yen for multi-million-dollar government contracts. The engineers became known as the “Group of Nine” and were lionised by like-minded staff. The current and former employees say the engineers’ work boycott was a catalyst for larger protests that convulsed the company’s Mountain View, California, campus and ultimately forced executives to let a lucrative Pentagon contract called Project Maven expire without renewal. They declined to name the engineers and requested anonymity to discuss a private matter. Internal disputes are common at Alphabet’s Google, which gives employees ample space to air grievances. But dissent is on the rise (as it is at other tech companies). Last month, in a highly unusual move, a Google employee proposed that executive compensation be tied to efforts to make the company more diverse and inclusive. That proposal was easily voted down by shareholders, but the engineers’ boycott could actually hamper Google’s ability to compete. Big federal contracts often require certification to handle sensitive data-authorisations that rivals Amazon.com and Microsoft Corp. have, but Google doesn’t. Without certain measures including air gap technology, Google may struggle to win portions of the Joint Enterprise Defense Infrastructure, or JEDI, a Pentagon deal worth upwards of $10 billion (roughly Rs. 68,000 crores). 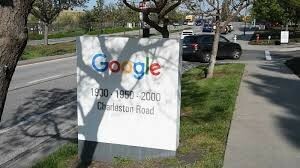 It’s unclear if Google has abandoned air gap technology or is still planning to build it over employees’ objections. The feature is not technically very difficult, so Google could easily find other engineers to do the work. While over 4,000 people at the company signed a petition against Project Maven, that’s roughly 5 percent of total full-time staff. A company spokesperson declined to comment.